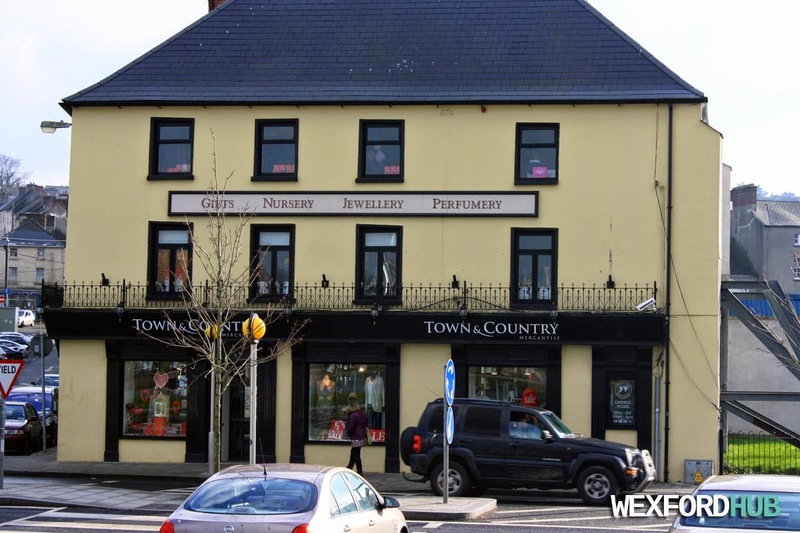 A photograph of the Town and Country Mercantile outlet on New Ross' quay front. This is a gift ware shop that sells jewellery, nursery ware, fashion, lingerie and cosmetic goods. Phone number: 051 448 619. On the left, you can see Sugar House Lane. To the right, there is a Pay and Display car park.